Our camp believes in the importance of eliminating pesticides, antibiotics, growth hormones and hydrogenated fats from our camp menu. Our executive chef is Marcus Guiliano, owner of Aroma Thyme Bistro, winner of awards for “Best New Bistro Restaurant in the Hudson Valley. 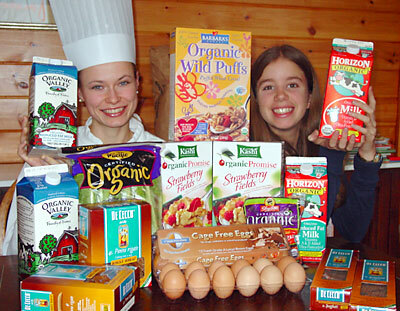 We offer a healthy choice of organic vegetables, milk, cheese and eggs. Many of the organic vegetables and eggs come from our local farmers that are certified organic. Our beef comes from Thunderview Farms who raise Black Angus steers on locally grown hay and corn without hormones or antibiotics. Murray’s Chicken is our supplier of free range chicken and turkey raised without hormones and antibiotics. We eliminate all hydrogenated fats in cooking our tasty food. We use whole wheat and gluten free pasta and our whole wheat bread is custom baked for us by Cohen’s Bakery in Ellenville. A balanced variety of entrees will please even the pickiest eater. 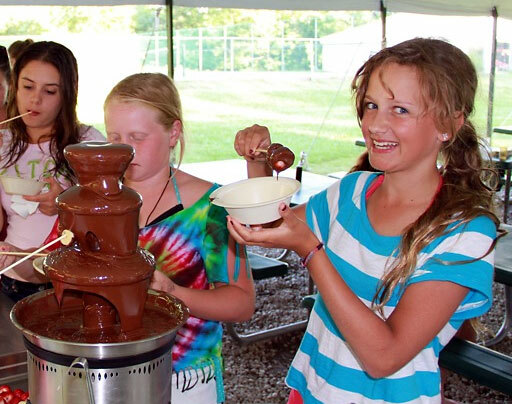 We always try to honor special menu requests by our staff and campers. Fruit juices, milk, hot cocoa, fresh fruits, granola, assorted organic cereals, hot oatmeal, whole grain bread, whole wheat bread, rye bread, gluten free bread, bagels with cream cheese, homemade muffins, assorted jams and jellies, French toast, regular pancakes, gourmet chocolate chip pancakes, scrambled eggs. Assorted juice beverage. Grilled hamburgers, hot dogs, chicken, chicken sausage, steak, French fries, tacos, lasagna, macaroni and cheese, egg, tuna and chicken salad, homemade soups, grilled cheese, pizza, cheese ravioli. 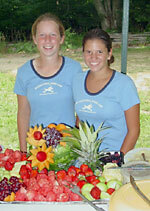 Salad Bar and fruit offered for lunch and dinner. Roast turkey, chicken, spaghetti and meatballs, our famous meatloaf, roast beef, mashed potatoes, steamed broccoli, carrots, rice, fresh corn on the cob, Chinese food, egg rolls, assorted vegetable and cheese quiches. Gourmet vegetarian dishes. Homemade chocolate chip cookies, Blackout Brownies (secret formula by our chef) pudding, jello, chocolate cake, make-your-own sundaes. Haagen Dazs ice cream bars, Ben and Jerry’s ice cream bars, frozen yogurt, assorted chocolate bars , gourmet Koroleva chocolates, chips, pretzels and popcorn. Wide variety of sodas, (our sodas are fruit juice based with carbonated water) bottled spring water. My favorite dessert. Can we try this at home?